Georgian Bay is an interesting piece of water that is surrounded by a moon circle of land that encompasses Owen Sound the Bruce Peninsula, Collingwood, Muskoka and Penetanguishene and is a stunning crystal blue water which has the colour it does due to the fact that the water is cold! Don't go swimming in it unless it is summer time, you will quickly learn what it means to polar bear dip. 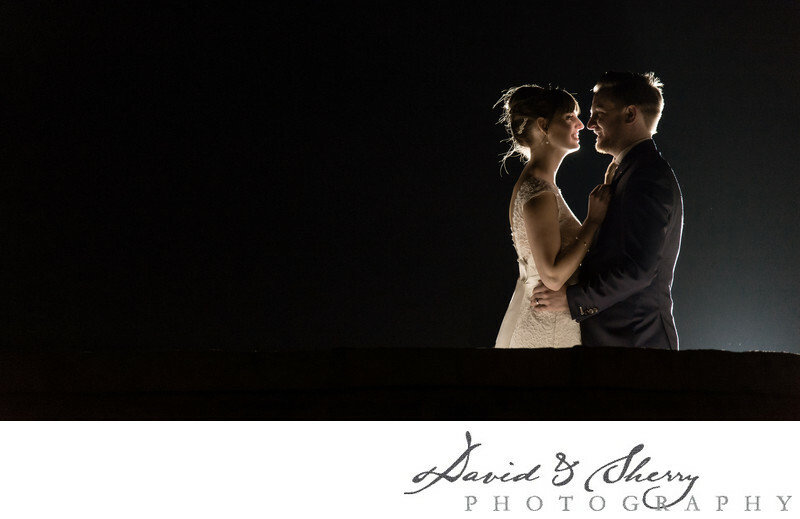 However because of it's beautiful colours and the Niagara Escarpment that surrounds it we have the ability as wedding photographers to capture nature along with our brides and grooms that trust us with their weddings. From the fantastic wedding venue and new pavilion at Cobble Beach to Sunset Beach in Collingwood, Blue Mountain and the Arboretum to the restaurant venues and private cottages that line the Muskoka side of the bay we challenge ourselves with every wedding to create stunning, impactful and generational images that will last a lifetime. From taking pictures of sprawling landscapes to traditional wedding portraits we create for our clients a unique collection of photos you can look through and share with your family and friends for years to come. We use the top gear from Nikon as well as portable equipment like MagMod, speedlights and Light & Motion Stella Pro lights to accent you in one of the most beautiful environments in Ontario.